For some historians, the 1917 Battle of Vimy Ridge by four divisions of the Canadian Corps, fighting together for the first time, was Canada’s coming of age, the birth of a nation, as important to us as the American, Russian, and French revolutions are to those countries. Other historians disagree, saying the importance of Vimy is more myth than fact. So where does the Canadian War Museum stand? Expect a nuanced answer in the exhibitions planned to mark the battle’s centennial. A show of paintings from First World War battlefields will be sent to Arras, a few kilometres from the towering Vimy Memorial in France; a travelling exhibition of mainly text panels and photographs will go to Canadian museums; and the museum’s permanent exhibition on Vimy in Ottawa, focusing on the battle, is being upgraded. But most of the attention will likely be on a seven-month-long exhibition opening April 6 called Vimy — Beyond the Battle. That latter exhibition, curated by the museum’s Melanie Morin-Pelletier, explores the issue of commemoration — how we do it, why we do it, who we honour, and what are the lasting effects of these decisions. The exhibition opens shortly after the publication of a new book on Vimy by another war museum historian, Tim Cook. Vimy: The Battle and the Legend explores some of the same territory and myth-making as Morin-Pelletier’s exhibition. Morin-Pelletier says the exhibition features artifacts that bring the Vimy story to life, including the life-sized plaster maquettes of the marble sculptures of allegorical figures at the Vimy Memorial in France, the goggles worn by Lt. Harold Molyneux of the Royal Flying Corps, and the medals of Vimy veteran Sgt. Masumi Mitsui, a Japanese Canadian interned during the Second World War despite an impressive record in the First World War. Whatever your opinion on the battle, the fact remains that First World War battles such as Vimy were the first to be commemorated with monuments and plaques in practically every community, big and small, throughout the country, says museum director general Stephen Quick. “The idea of commemorating, of coming together, was new for us on a national level,” he adds. 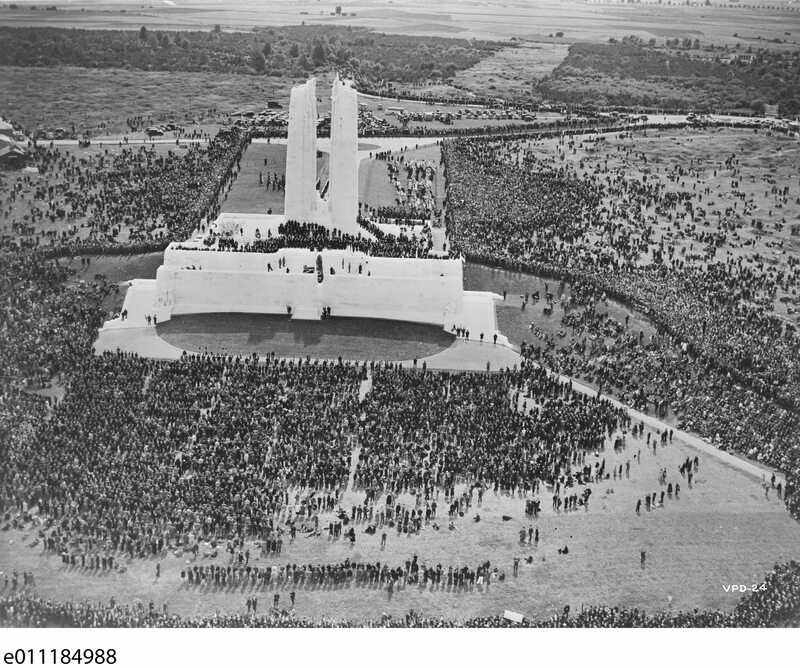 And, as Cook notes, Vimy is the place where Canadians chose to erect their most impressive place of commemoration. The Vimy Memorial has become a symbol for Canada, a place to focus attention, to remember, and to grieve. So does it matter if Vimy is truly Canada’s most important battle? Perhaps only to the historians.